The author William Russell G. Colman was a student at Adelaide University before joining the AIF on the 2 August 1915. Colman was only 18 years of age, so he gained his Father’s consent. Graham Leaver a student friend of Colman also joined at the same time. Colman became a Private (enlistment number 2552) with the 27th Battalion AIF and remained with the 27th Battalion throughout the war. He was wounded three times in the field, 2nd December 1917, 20th April 1918 and 21st April 1918. The wound that he received in 1917 was a severe gunshot wound to the face, while the other two wounds received on consecutive days were minor - he remained on the battlefield. He was commissioned, being promoted to Lieutenant on the 12th April 1918. On the 31st July 1918, he was awarded the Military Cross for gallantry in the field. In board daylight he led his men across the open, entered enemy line, and captured some 800 meters of trench, together with 20 prisoners, inflicting considerable losses on the enemy. In 1933, Colman wrote of his experiences during the war providing a deeply intimate account of his own experiences, revealing common ordeals as a member of the 27th Battalion. Later in 1933, Colman entered his book in a War Novel Competition that was established by the Victorian RSL. He did not win; the book ‘Crucible’ by J.P. McKinney won the competition. Subsequently, Colman never published and he donated the original handwritten manuscript to the Australian War Memorial where it remains to this day. The Editors, Claire Woods and Paul Skrebels have undertaken considerable further research and have included much additional material. This addition information has been included in this book. This includes the original diary entries of Coleman, Biographic information about Coleman and other soldiers during and after the war, explanation of the real names of people mentioned in the book, chapter by chapter commentary research, wartime photos of Coleman and 27th Battalion mates. 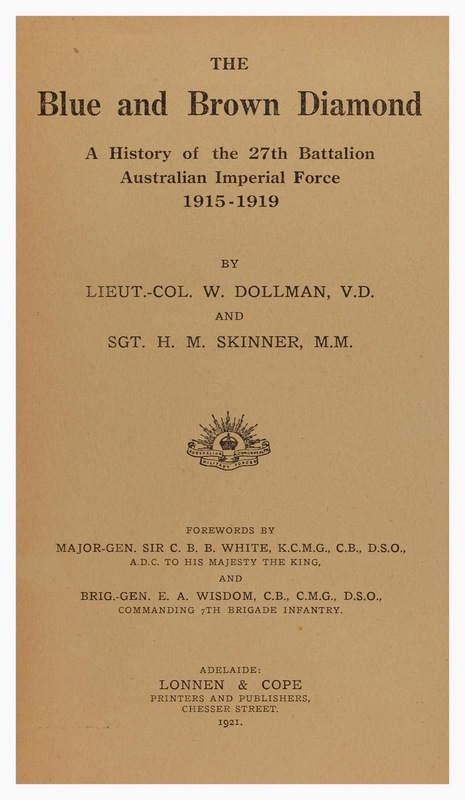 A History of the 27th Battalion Australian Imperial Force, 1915 - 1919.
by W Dollman and H.Skinner. Click Here to see a quality reprint of this history. The Official History of the 27th Battalion AIF was published in 1921. The book was never released in considerable quantity and remains rare. It has only ever been reprinted once in the 1990's and this reprint was limited to 200 books. 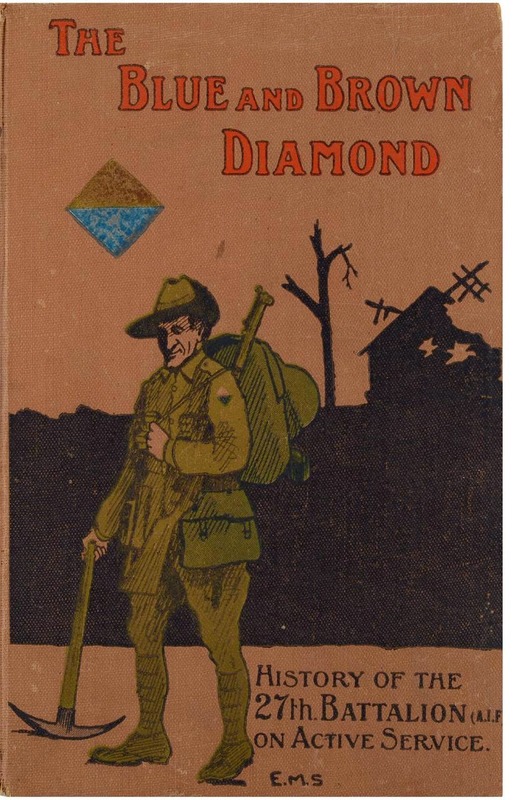 Walter Dollman co authored the 27th Battalion History, "The Brown and Blue Diamond. He was a South Australian Militia Officer before WW1. He had outstanding service with the "Adelaide Rifles", 10th Australian Infantry Regiment and later becoming the CO, of the the 74th Infantry Regiment. He was appointed CO of 27th Battalion AIF, during its raising in March 1915 and embarked for overseas service 31 May 1915. He commanded the Battalion through the Gallipoli campaign and then on to the Western Front. After Pozieres and Mouquet Farm, he was wounded as a result of a gas attack, and thus unfit for further frontline service. He returned to Australia in September 1916. He remained a stalwart of the 27 Battalion becoming State President of the South Australian RSL in 1929. He died on 23 August 1945 at Malvern, South Australia. 72 years of age. 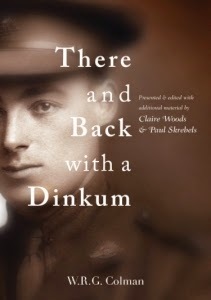 His co author was Sergeant Henry Skinner who was a NCO in the Battalion. At Morlancourt on the night of 10-11/6/1918 he was awarded the Military Medal for gallantry.